One of the biggest electronic dance music producers in the world, Deadmau5, Has released a new documentary on his 2014 Gumball 3000 rally, Titled the “Spirit of Gumball”. 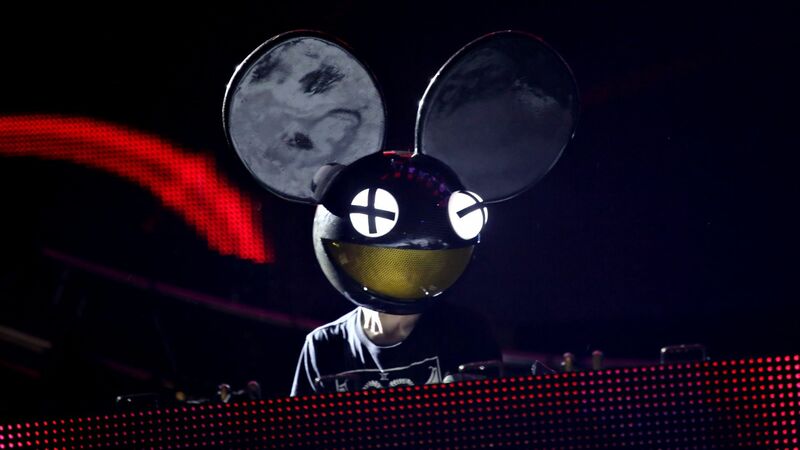 In 2014 Deadmau5 joined the Gumball 3000 circuit; An annual 3,000-mile (4,800 km) international super car rally which takes place on public roads. It was started in 1999 by a British entrepreneur, skateboarder and race car driver Maximillion Cooper. Fans of the 2014 Gumball 3000 rally witnessed a sky blue Ferrari 458 Spider in a car wrap with Nyan cat designs on the hood, and sides of the Ferrari. Joel raced in the 2014 Miami to Ibiza Gumball circuit with Tory Belleci as his co pilot and navigator; A main star on the popular television show MythBusters. With a cost for participants of £40,000 based on two sharing a single vehicle in the Gumball rally, This years 2014 ‘race’ started in the United States in Miami, passed through Atlanta, and finished in New York City. It continued with the participants and the cars being loaded onto planes, and flown over to western Europe, starting in Edinburgh, continuing to London, Paris, and Barcelona, before finally finishing the race on the island of Ibiza. Sponsors included AnastasiaDate, Battery Energy Drink, Betsafe, Christie’s, Nicolas Feuillatte, and YouTube. Tory Belluci starts by telling us in the begging of the video documentary how he is scared that they will have to pull over in the Purrari because he has to take a pee. Tory, even gets to drive the Deadmau5 Purrari in Europe because Deadmau5 gets pulled over by the cops and didnt have his wallet on him, or it got stolen, or he lost it. Something like that. Which in the end Torry gets to drive the rest of the Gumball 3000 rally because of EU jurisdiction. When he got pulled over in France Deadmau5 lost his license to all — 28 EU member states and would Drive at the Spanish border the rest of the way, Except Spain is part of the 28 EU members. The Deadmau5 Purrari lived a short sweet life on the roads of the world, As deadmau5 has now sold the car and took the Nyan Cat car wrap off. At least the Purrari will continue to live on through the “Spirit of Gumball” video above. This entry was posted in EDM Events, Electronic Dance Music, Electronic Dance Music Documentary, Interviews, Producer, Producers, Videos and tagged 3000, Deadmau5, Documentary, Ferrari, Gumball, Ibiza, London, Miami, MythBusters, New York, Nyan cat, Paris, Purrari, Tory Belleci. Bookmark the permalink.